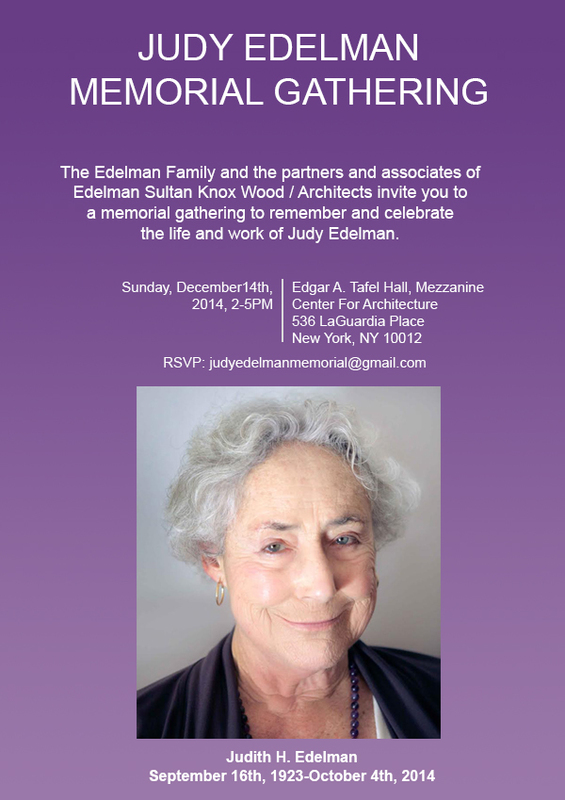 Judy had such an indelible spirit that her passing has come as a shock for us at ESKW/A. Deeply committed, wonderfully irascible, and extraordinarily talented, she created and maintained a strong identity for this firm that continued throughout her retirement and will continue into the future, well after her passing. ESKW/A offers a few images below that illustrate the Judy that we knew. In the coming months, we will provide information and updates about the organization of memorial services that will be open to the public. We also encourage you to read the interview she gave on this blog 2 years ago, as well as these outstanding pieces in the NYTimes and in Contract Magazine.